Don't get stuck in a rut, January is almost over. After a seemingly everlasting month, it's finally coming to an end. And the end of January means it's almost February and almost February means it is almost Spring. Yay! 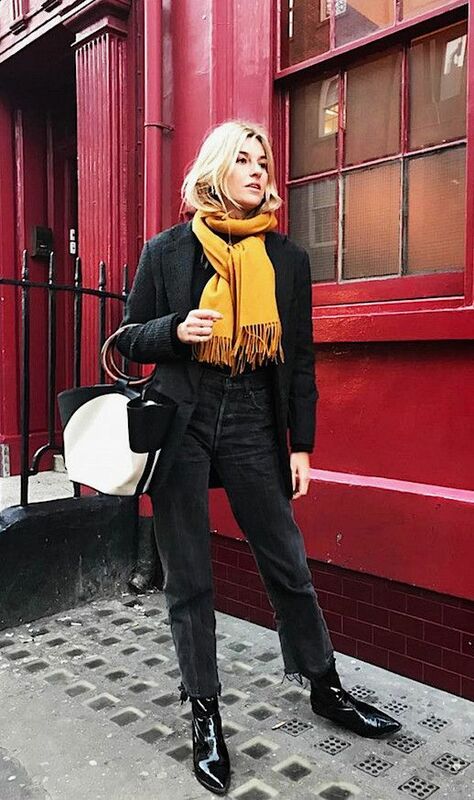 Camille prepped with a bright mustard yellow scarf, reworked denim, a boyfriend blazer and leather ankle boots. We'll definitely be trying this look out soon.